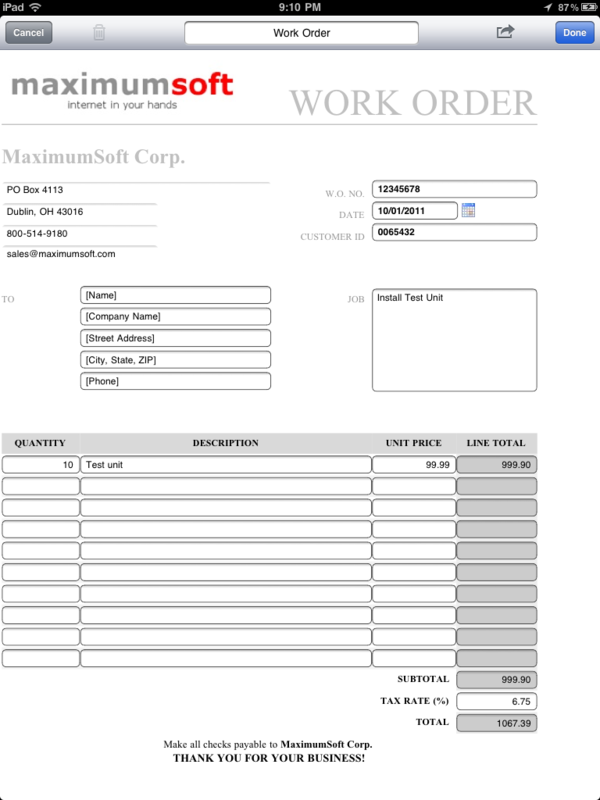 MaximumSoft Corp. today announced release of Forms-2-Go new version. This app puts form-based data right into customers' hands, allowing to create and sign electronic forms directly on iPad, iPhone, Android tablets, smartphones and PCs. Forms-2-Go allows to replace paper forms with compliant electronic versions that are available at any time, on the go, and in the office. 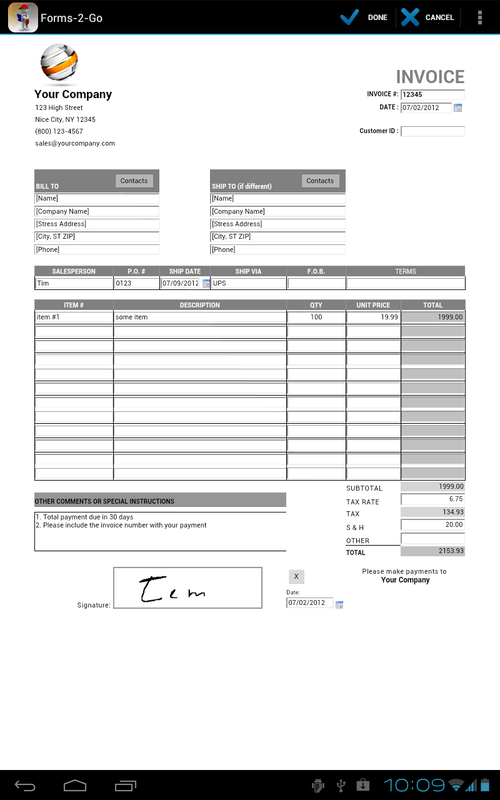 The app comes with over 30 pre-build form templates (invoices, work orders, time sheets, etc.). It also allows users to import their own custom form templates (in HTML format). 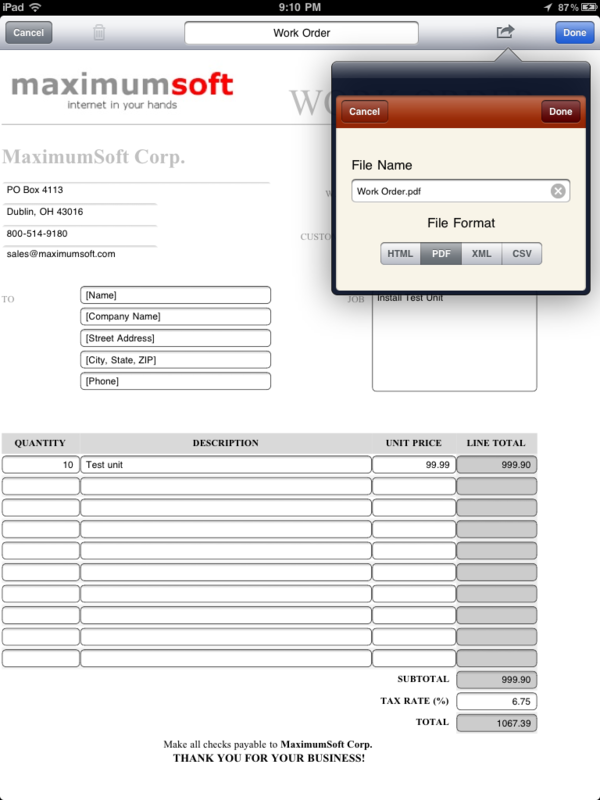 MaximumSoft team can also help to convert customer paper forms into electronic format to be used in Forms-2-Go app. 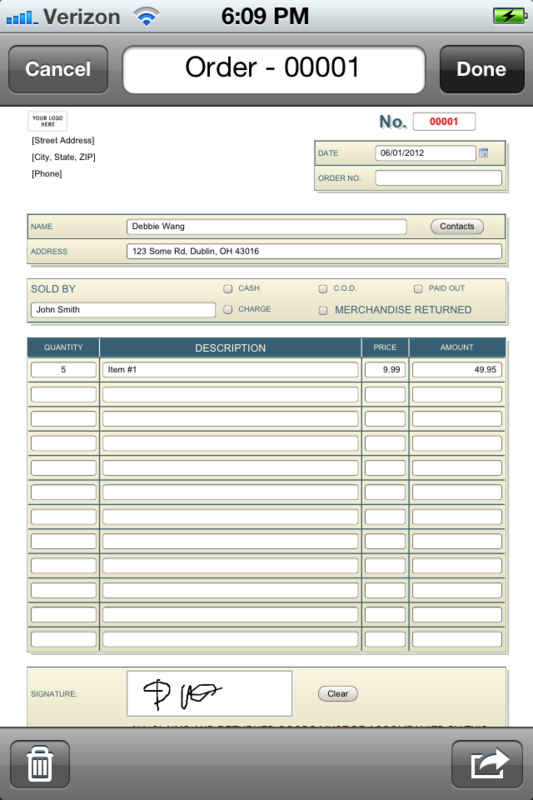 Completed forms can be emailed or printed directly from mobile devices, or PC. The app can also be used to capture customers signatures directly on mobile devices. Forms-2-Go app allows multiple people work on the same form on multiple different devices. For example, office worker creates Work Order form on Windows PC, fills in customer information, and emails the form to a technician. Later on, technician enters information about performed service, asks custom to sign the form on a mobile device, and emails completed form back to the main office. Same forms work on all supported devices: iPads, iPhones, Android phones and tablets, Windows PCs.